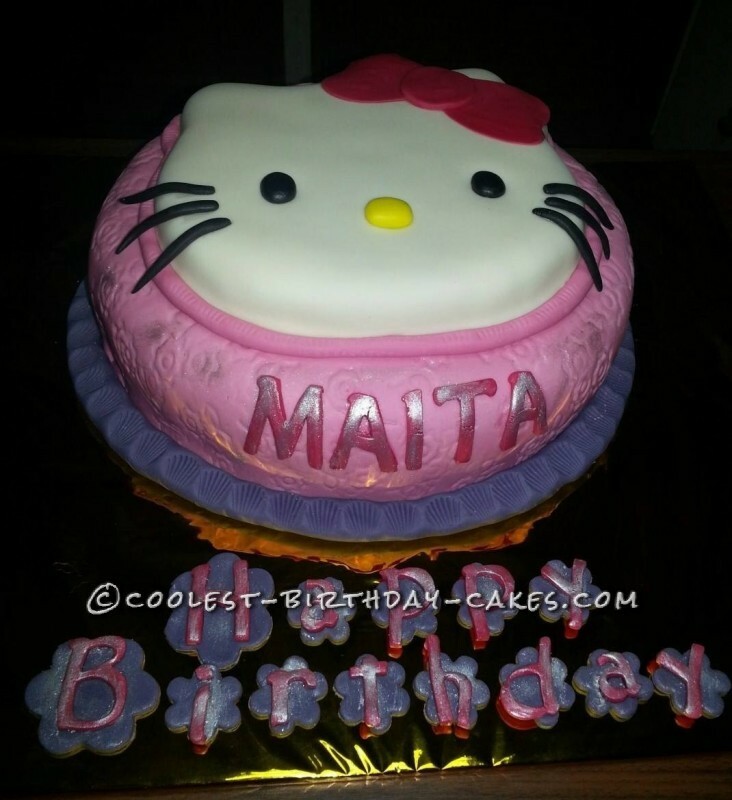 I made this Hello Kitty birthday cake for my daughter in law. This is made of chocolate cake and fondant. Well, this is my first time I made a fondant cake, and all positive comments from my family, friends and FB friends. 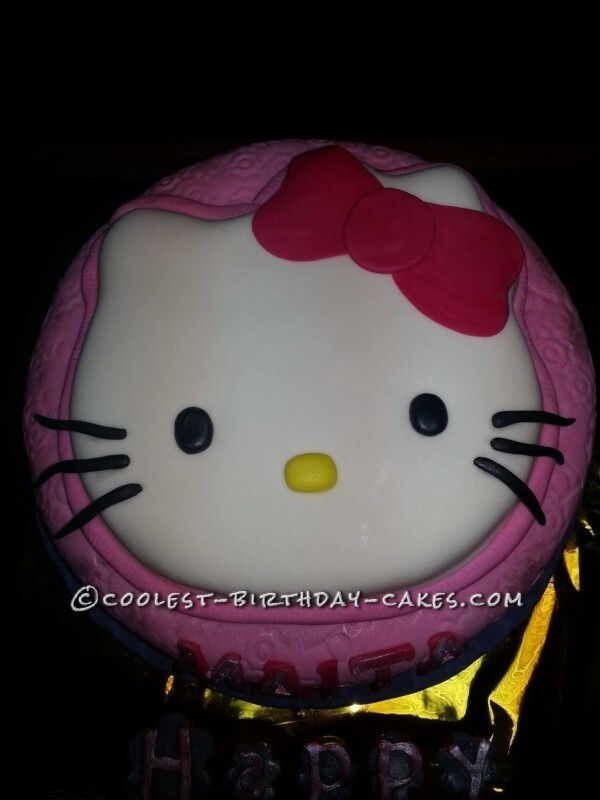 I cut out Hello Kitty’s face into a thin cake, half of the 12 in. round. I used also icing cream for frosting. 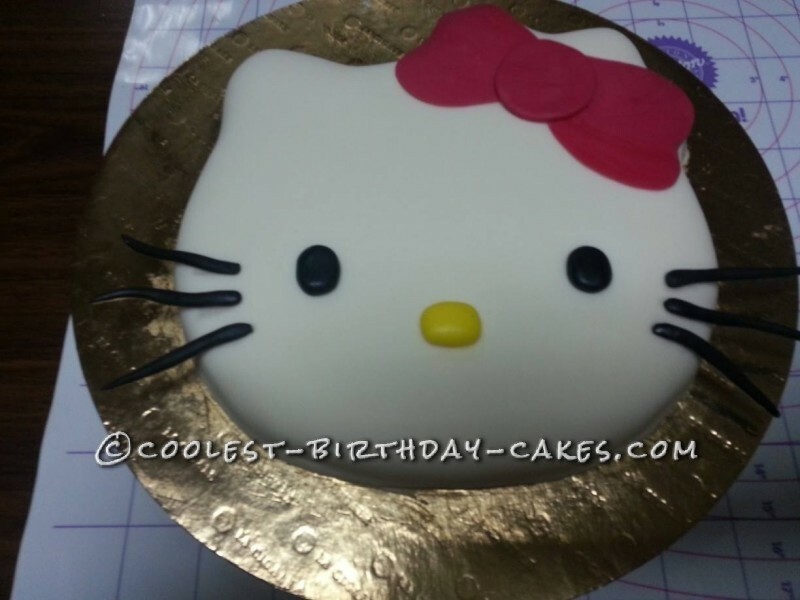 I was so amazed when I saw the perfect form of Hello Kitty’s face with the fondant. It was a success for me I said. I baked also red velvet cup cakes with cheese butter cream frosting and with my personalized cup cake wrapper or cover. 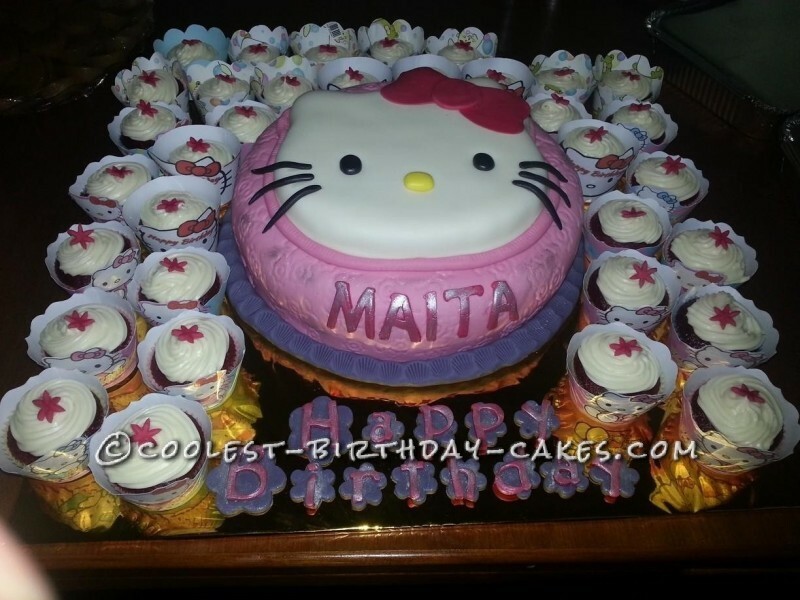 While celebrating the birthday I kept posting the pictures of my Hello Kitty cake in my Facebook. I got a lot of notifications, some asking me how I did it, some asking how much it cost. I enjoy this Fondant cake.